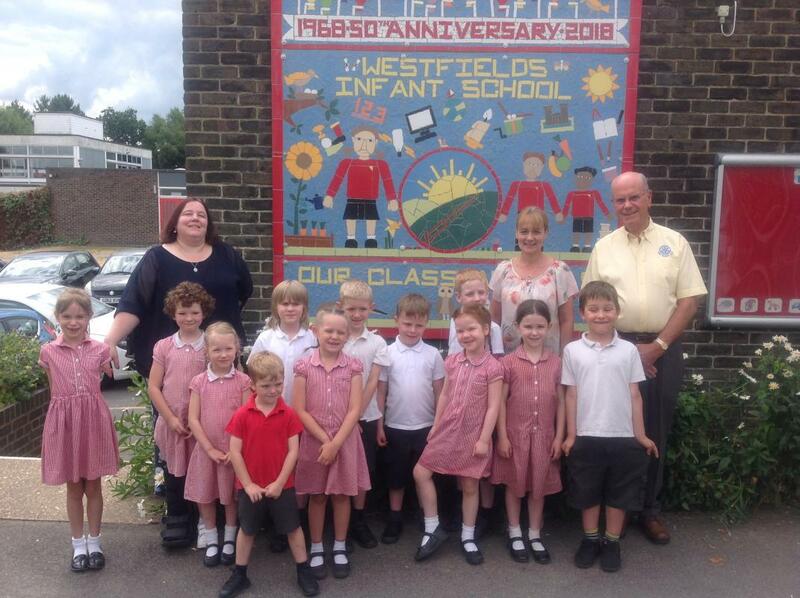 A superb new mosaic has been unveiled at Westfields Primary School in Yateley. The design was completed entirely by the children to mark the school’s 50thAnniversary. It represents all the things the children learn and enjoy at the school. The mosaic stands proudly on the outside wall at the entrance to the school. Headteacher Janette Teague said she hoped that the pupils involved in designing the project would, in future years, bring their children to the school and point out the bit of the mosaic they had designed when they were at the school. David Bowers from Mosaic Magic completed the actual mosaic from the children’s design.